You’ve probably seen it yourself, the schizophrenic restaurant menu with hundreds of items spanning the globe, from pasta to pancakes to paella and everything in between. An unfocused menu tries to be everything to everyone and ends up creating a logistical nightmare that necessitates making compromises in food quality. For those uncompromising restaurant owners looking for a way to plan their next menu or restaurant owners who are trying to pare down their offerings without giving up too much, this guide will help you understand the why and how of menu engineering. Before you start planning or reforming your restaurant menu you need to have a clear picture in your mind about who your restaurant is meant to appeal to. Once you put a target on the back of the people you want to attract to your restaurant, everything comes into focus. Understand what your guests want and direct all your efforts to give it to them to the highest degree you can. If you have an established restaurant, look at your product sales report and find what sells the best. That’s a great place to start, but you should always be interacting with your guests to get a sense of who they are, why they came, what they enjoy and what they dislike. Get to know your vendors! Open up a dialogue and ask for help. If you show that you’re open to working with them and that you’re looking for deals and insight you might be surprised how much of the inner workings of their operations they’re willing to share with you. When you understand the push and pull of supply chain dynamics you’ll have a better understanding of costs. When you can anticipate price changes, you can adapt your menu in concert with your supplier and maintain profitability. Working more closely with vendors will help reduce reliance on frozen and pre-made ingredients, giving you the ability to provide your guests with fresher, higher quality foods that will excite them! Too often chefs and restaurateurs start with a menu and build a concept around that. This is the wrong way to do it. If your goal is to make money, don’t fall in love with your creations and expect others to love it just as much as you. Running a business is about giving your guests what they want, not what you want them to want. Establish a profitability goal for each of your dishes before refining the recipe. Then work with your vendor to establish what’s on sale and what quantities you need to buy to get a discount. Opportunity lies in the gap between your costs and your guest’s perceived value. Work with your chef to craft creative recipes that will have a high-value perception. Remember that it’s not just about markup but also contribution margin. It’s generally better to make $10 from a $20 steak than to make $2 from a $3 order of chicken fingers. The chicken has a 300% markup versus the steak’s 50% markup. However, you’d have to sell five orders of the chicken to make $10 – but that’s not including the additional labor involved! Every unnecessary item nixed from your menu reduces the scope and complexity of service. 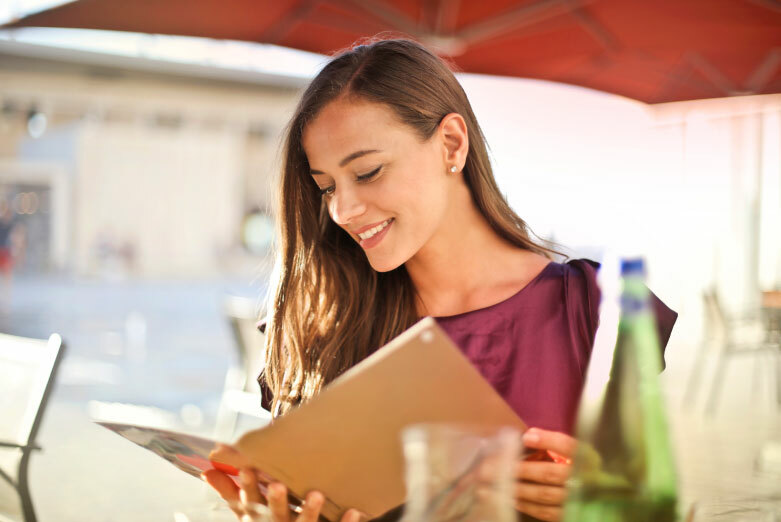 Instead of having guests spend 20 minutes reading the menu to decide what they want, they can pick quickly. Server training time is reduced as they are able to memorize the menu in a day. This also opens the opportunity for the servers to interact with guests more and have a conversation, provide recommendations and up-sell. If your goal is to have a tight kitchen brigade that nails every dish, focus your menu. Cooks become more confident as they gain experience repeating the same dishes. Batching becomes essential as multiple table’s orders can be worked on simultaneously. Systemizing processes like prep, waste reduction and inventory management become much more accessible. Don’t get the wrong impression. A refined menu doesn’t mean limiting yourself or your guests. Indeed, a focused menu provides guests with opportunities to explore their tastes through your revolving menu. Along with your best selling and most profitable signature stars, feature weekly specials, soups of the day and all manner of seasonal and inspired creations! Keep your guests coming back and generate interest when you’ve always got something new up your sleeve. Imagine your guest’s excitement when their seasonal favorites return or when new items are introduced that are right up their ally. A focused menu based on a deep understanding of your guest’s tastes, profitability, opportunity and creativity will keep people moving through your dining room and showing up more often. Your kitchen will work like a machine. Reduce the need to depend on a variety of frozen foods and your guest’s taste buds will rejoice!